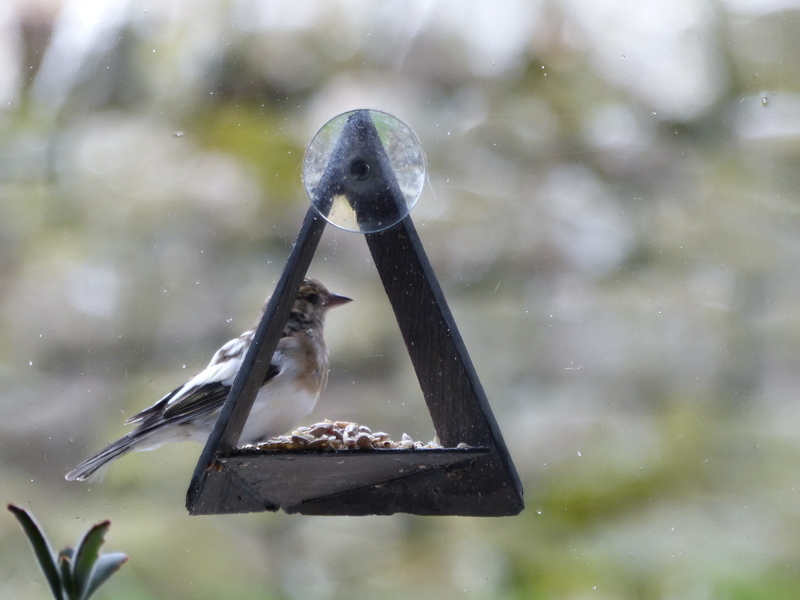 Already for months we see this lovely bird on our natural & recycled slate window feeder. Only recently we discovered it is a very rare Leucistic female Chaffinch (she simply missed the paint booth!). Every morning, after I filled all our window feeders, she comes to enjoy our (robin) bird food. 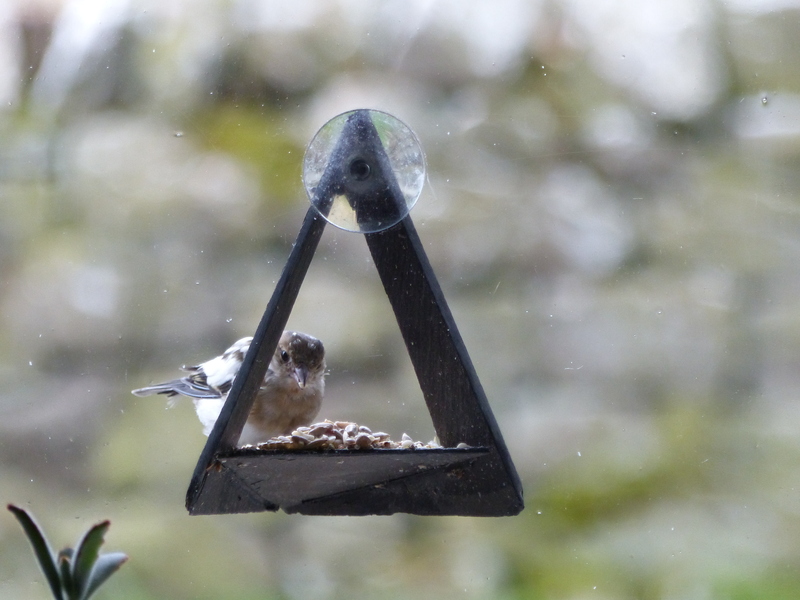 As a ‘non-plastic’ feeder it is designed that you see the full body of the visiting bird, the seed floor is under an angle with an opening in end that water with automatically drained, meaning that your food will be fully eaten (doesn’t become mouldy and no remains attracting vermin). Made from natural slate, you’ll never have to clean the feeder; only twice yearly to check that the water drainage is still working. Easy installed (pushing the bone dry/clean sucker) against the glass and shortly after you can enjoy your feathered friends. Our first one made, roughly 10 years ago, has never come off, despite all weathers & seasons. Today there are close to 5000 other places where this feeder is enjoyed, from Northumberland, the whole of UK, and all other continents from, EU, America, Australia & New Zealand to even Japan. Jeanette on Mirror, mirror on the wall ……..